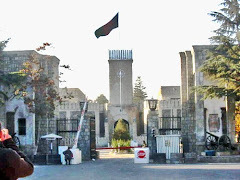 The most significant changes brought to Afghanistan through transitional peace process during the last five years; are undoubtedly the freedom of speech and free environment for emerging of private television channels and private filmmaking productions. In renovation of the country, among all, the trend to give more freedom to media as the fourth pillar of government powers has been visible to some extend, although there were challenges and obstacles on the way of this process. This process has not only been involving the men but simultaneously the women have also been taking a notable part in it. During the last five years women tend to be seen in different areas including cinema and film industry, working together with the men. These new changes take place in a situation when a bad image of cinema is introduced to people and cinema is imagined to be a picture of dancing and singing a half naked men and women by the most people which still makes it difficult for women to work in cinema and film industry and appear on screens. If we turn the page of history as a reference we see that the first professional Afghan feature film by the name of “love and friendship” was made in the year 1946 which shows that cinema has a history of 60 years in Afghanistan but why were we not successful to use it and develop it over years. Obviously there are many reasons for why cinema is not popular and successful among the people of Afghanistan; low level of literacy, influence of fundamentalist and extremist figures on general opinion, low general knowledge, poor economy, overshadowing of Indian Cinema on Afghans which create a negative image of cinema for the people and lack of governmental support to cinema as a part of cultural reconstruction programs are the main reasons for why the Afghan Cinema has not been successful and popular yet. 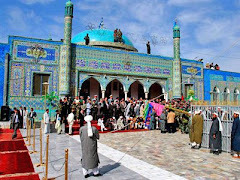 The history shows that the first idea of using cinema as an entertainment and as a tool for explaining of the programs of the government to the people in Afghanistan was raised when the progressive king Ghazi Amanullah Khan initiated to build cinema theaters and encouraged theatre plays and film projections beginning with participation of the royal family in the events as part of his social progression programs in picnic places and new built cinema theaters in the 1920s that is why the early generation of our filmmakers and cinema activists have started their work with theatre and then have come to cinema. The actual idea of developing a film industry in the country has come when the first Afghan feature film was made in the late 1940s by the help of an Indian Studio which was then followed by some other feature films. After the idea of an actual film industry was raised it took about twenty years until the government moved a step forward and established a department called Afghan Films in the year 1968 by the help of US government with a gap of two decades after production of the first Afghan feature film. Thereafter, in the 1970s some efforts were made to excel this new born industry but still the general trend was to use cinema as a tool in the hand of government for its own propagandas therefore it was not free and popular. In the late 1970s some foreign film projects such as Indian and American film projects such as Horsemen 1971 came to Afghanistan which was a really good opportunity for the immature Afghan cinema activists to learn from them and to make future contacts with them. The government still continued to have cinema in its hand and only supported the films that were in their favor therefore a dependant cinema was born; as a result any changes and problems the government faced it directly effected the cinema and film industry. On the other hand the cultural and political relations with India opened a path for their films to come to Afghanistan. In these years many youth showed interest to cinema and a few more films were produced by the government supports which are still popular among the people. 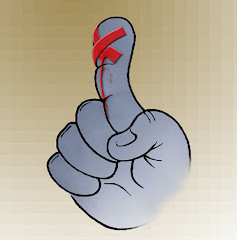 In the continuity of these efforts, Afghan private productions such as; Naseer Films, Shafaq Films and Ariana films established slowly on, to make films and train the youth with cinematic techniques which attracted many of youth on that time towards film industry. 1980s are known as the golden years of cinema of Afghanistan when the government already felt the importance of cinema and got advantages from film industry for its purposes on the other hand a few more Indian and western film projects came to Afghanistan while at the same time some short term and long term scholarships in cinema faculty were given to Afghans by India, Russia and some East European countries. 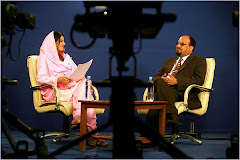 As a result more films were made in the 1980s and it was hoped that Afghan film industry was going to boost thereafter. But all things changed differently in the early 1990s when the communists were overthrown by the Mujahedeen fighters and filmmaking activities was defined by them as a non Islamic occupation. They forced hejaab (a special defined covering for women) on actresses and women artists and filmmakers had to flee the country. And the only film produced in this period was Orooj (ascent) a feature film about war of Mujahedeen against the Russians. Then the civil war began and burnt the body of cinema along with the whole infrastructures of our country. 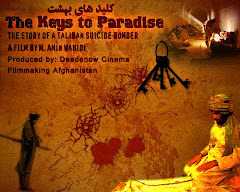 And when the Taliban the extremist force came on power in Afghanistan in 1996, they almost eradicated the art of cinema from Afghanistan by burning a part of Afghan films archive (though a big part of them were hidden by some of the staff), prohibiting filmmaking strictly and charging punishment for filmmaking that was the fiercest behavior with cinema in the history of Afghanistan. Counting the members of private filmmaking productions in Kabul most of which are licensed by the Ministry of Information and Culture we can name Afghan Film Industry Kabuliwood as there are more than 70 small and big filmmaking productions but no significant products are seen in the recent years though there have been keen interest for filmmaking. After the collapse of Taliban, there are only two or three significant real Afghan films produced in Afghanistan which can represent Afghanistan in world wide festival and competitions. Today if we see the cinematic activities in Afghanistan there are several categories of filmmakers; the generation of 1960s and 70s who are too old to be productive and the second generation is the ones who have studied cinema through scholarships in different countries. The second category has proven to be the most active filmmakers so far as they are trying to experience different films shorts, documentaries and low costs, and the third generation is the young Afghans who do not have knowledge of cinema but they are only fans of cinema and have started their experiential works without an educational cinema background. The present situation shows that the recent filmmakers of different categories are emerging independently as there is no industry existing in the country but there is still confusion where the Afghan Cinema is going; no one knows. Osama by Seddiq Barmak and Ash and dust by Atiq Rahimi and Spring of Hope by Hashmat khan are the three 35mm significant Afghan films after the collapse of the Taliban produced in partnership with the foreigners while there have been some independent and partnership foreign film projects from India, France, Iran and other countries in these years which are not counted Afghan film projects. One of the things that makes us hopeful for the future it is the participation of the women in all arenas including cinema and filmmaking. The women have had a significant presence in cinema and filmmaking in big cities like Kabul, Herat and Mazar-e- sharif despite of all difficulties and problems they have. There are women emerging as directors and actresses and producers. Women are being obsessive of the five black years of Taliban therefore they have to compensate their backwardness of those years by making different efforts in different arenas of life such as social, cultural, political and economic fields. As a result, profiles like, Marina Gulbahari, Amina Jafari, Saba Sahar, Bereshna Bahar, Aqela Rezayee, Khala Hameda and Zobaida are the women started their career in cinema unprofessionally since the collapse of Taliban and now each of them is trained and grown as an actress and or filmmaker. Playing roles in about 27 short and feature films Amin Jafari has glittered significantly while she has made three documentaries about women and Roya Sadat a student in Law faculty in Heart has shown a great impression by directing her first feature film about the women called Sey Noqta (three dots).